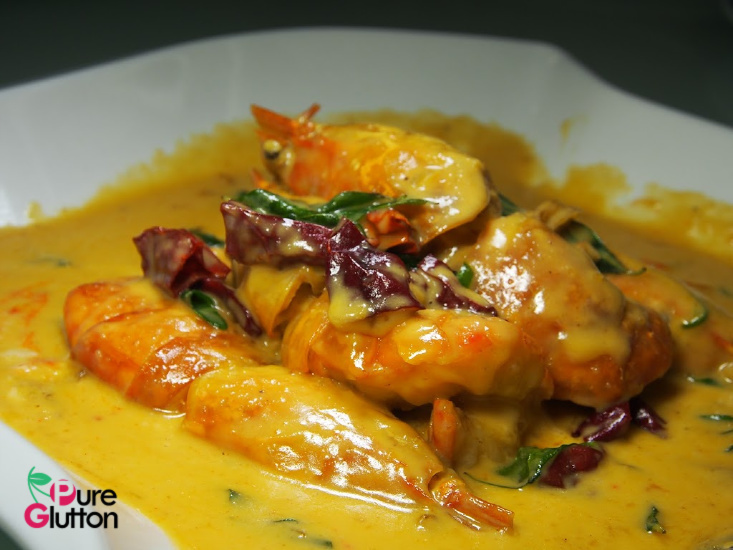 With a name like “Prawn Dynasty”, it’s clear what the speciality of this restaurant is. 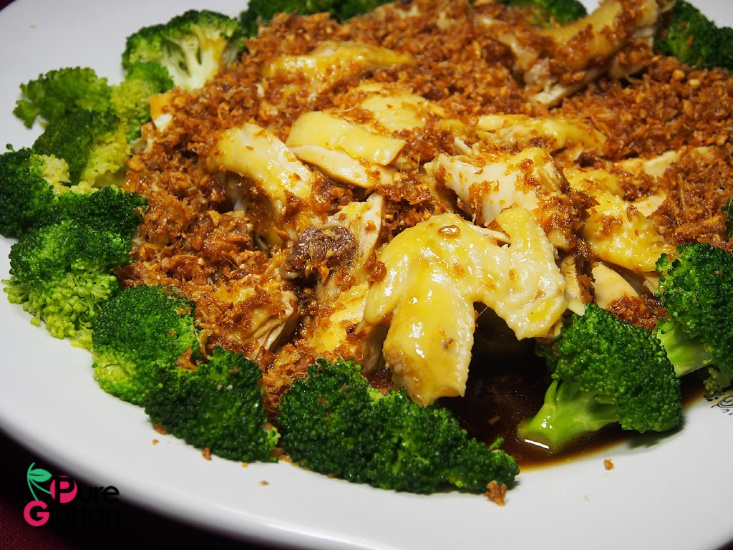 Serving plump fresh udang galah or freshwater prawns, otherwise known as “tai thau hah” in Cantonese, the restaurant sees a steady stream of prawn lovers strolling in. 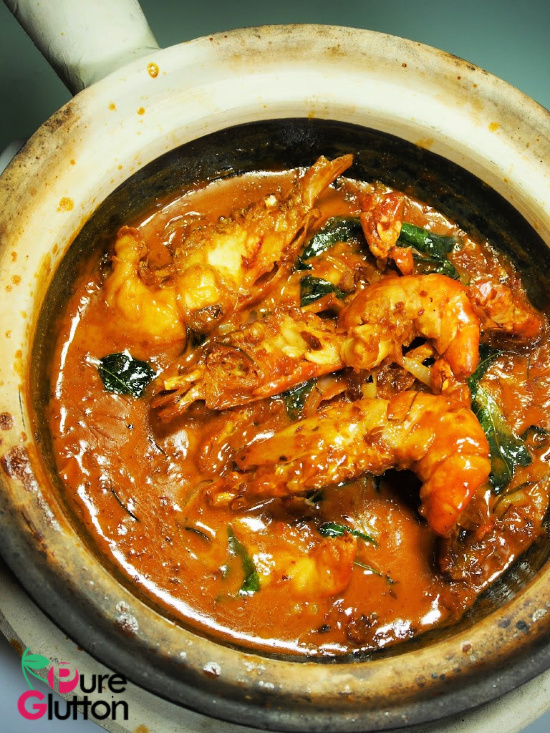 Although open for just a few months, word has already gotten out about the sweet crustaceans served in Prawn Dynasty in this quiet corner of Taman Shamelin Perkasa, Cheras. 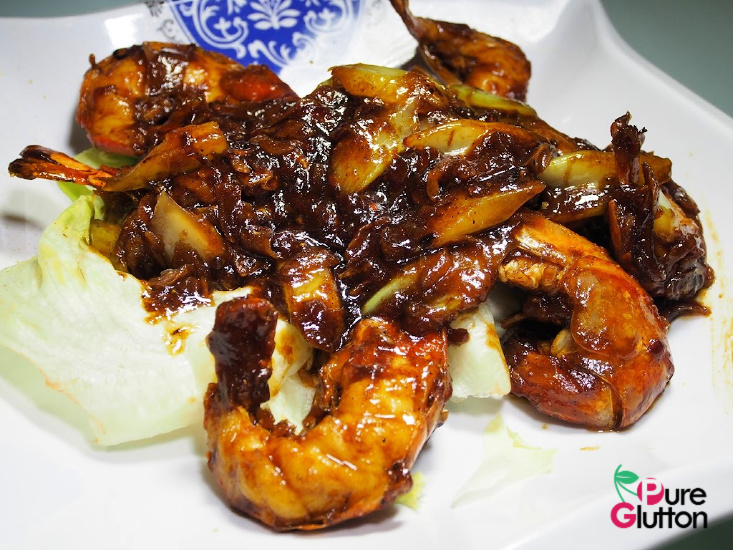 At RM39.90 a plate, the freshwater prawns are cooked in more than 20 variety of sauces. You may have a hard time deciding, like we did. In the end, we decided to go with the popular choices of “Kam Heong Lai Yau” (buttermilk sauce), Salted Eggyolk and Black Pepper Prawns. 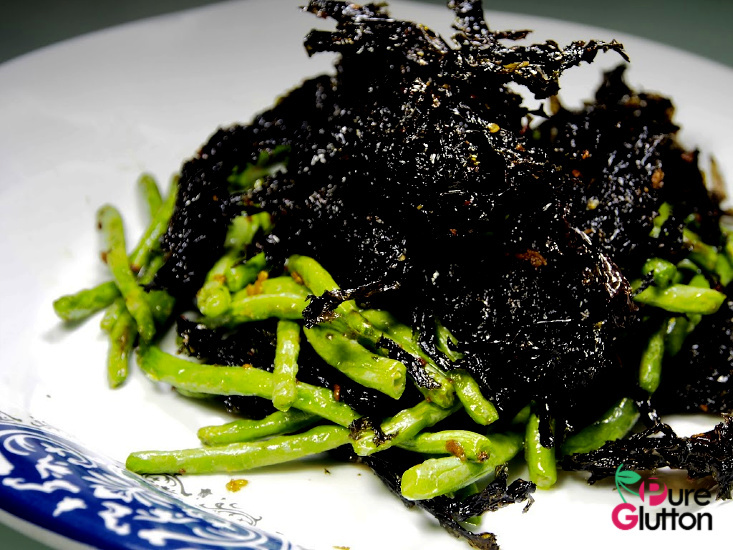 All 3 dishes proved to be worthy winners and if I have to choose a favourite, it has to be the Kam Heong Lai Yau Prawns for its most enticing spicy flavours! 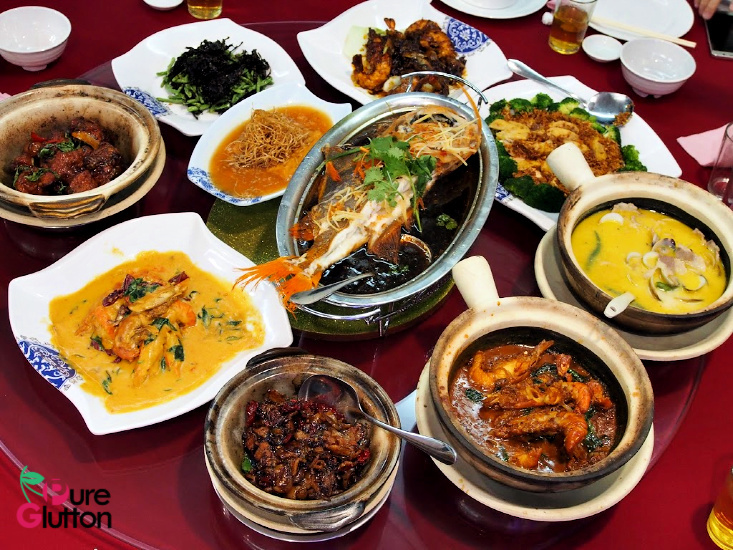 Besides the prawns, the menu also has an extensive listing of other seafood, chicken, pork, tofu and vegetable dishes. 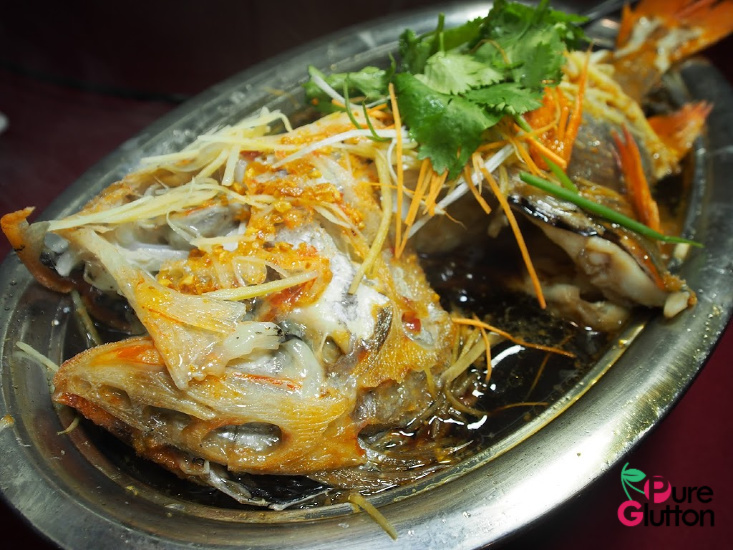 If you love steamed fish, please order the divine Orange Roughy Steamed in Ginger & Soya Sauce. Imported from New Zealand, it’s a rather fearsome-looking fish with the smoothest silkiest texture ever and hands-down the best tasting fish I’ve had so far this year! I’m a fan of clams and la-la so when I saw “Excited Clams” on the menu, I just had to try it. 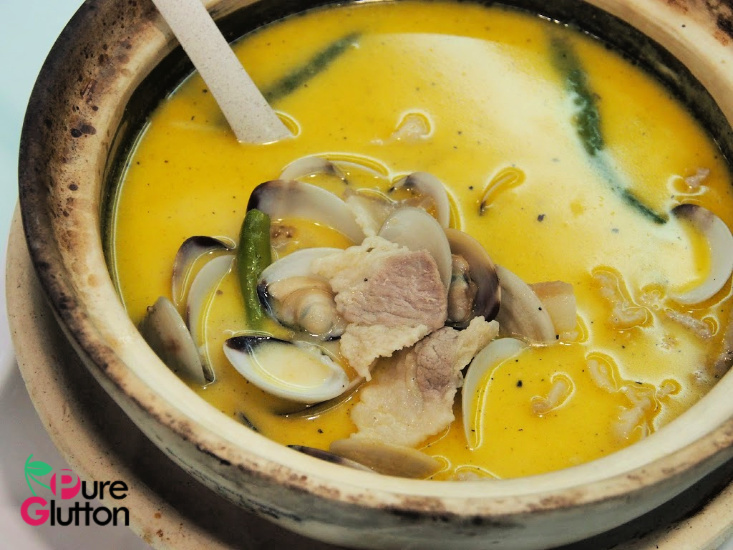 The clams are cooked in a delightfully fragrant broth, tinged yellow with the addition of butter in it and slices of pork belly give it that extra meaty porky robustness. 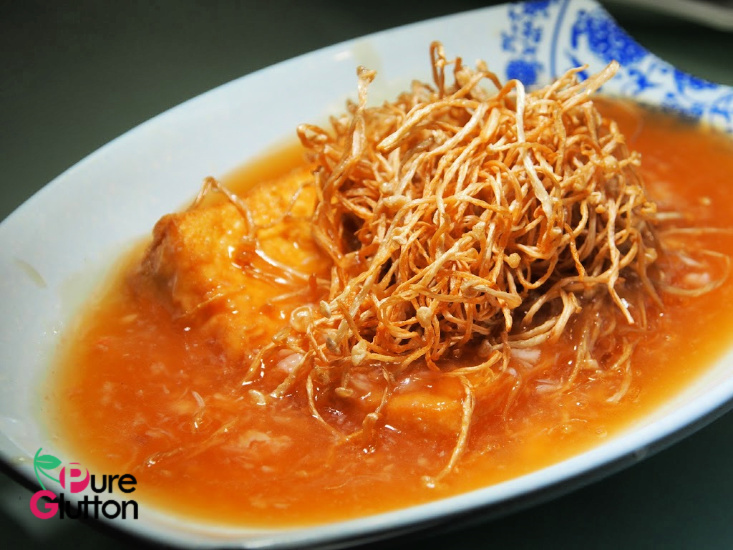 We slurped up every last drop of that addictive broth. 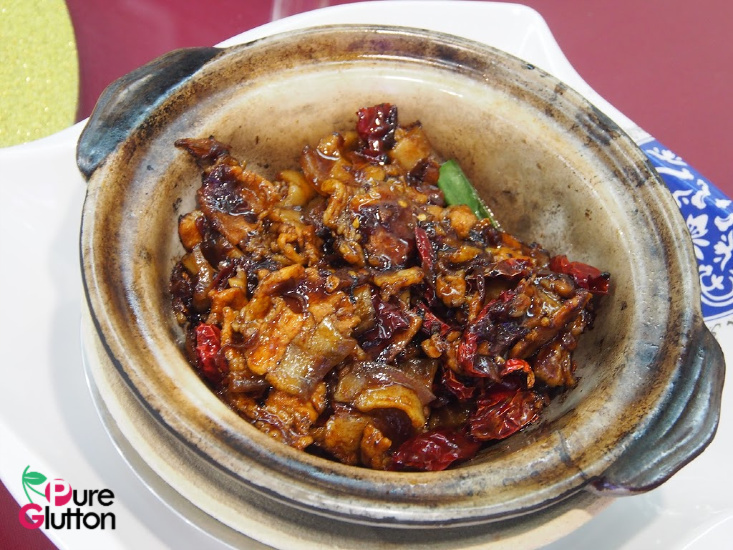 Do order some plain rice ready to go with their Claypot Pork Belly with Salted Fish, the Taiwanese-style 3-Cup Chicken, Crabmeat Tofu and the mis-translated “Saliva Chicken”! 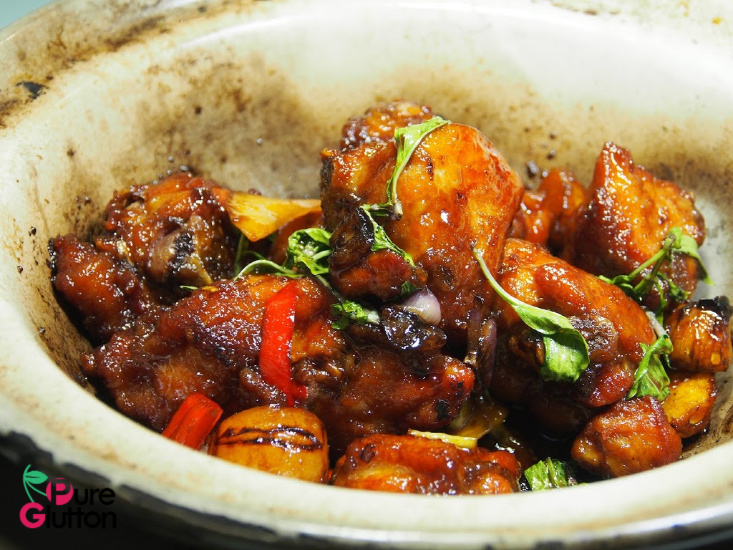 No gross saliva in the chicken – it’s just a direct translation from its Cantonese name which means the golden-skinned chicken is salivatingly delicious!